Is that RaverRing White and Gold or Blue and Black? Our perception of color depends on how much we’ve danced our brains out the night before and interpreting the amount of RaverRing light that was flashed on the dance floor or the Burning Man playa. 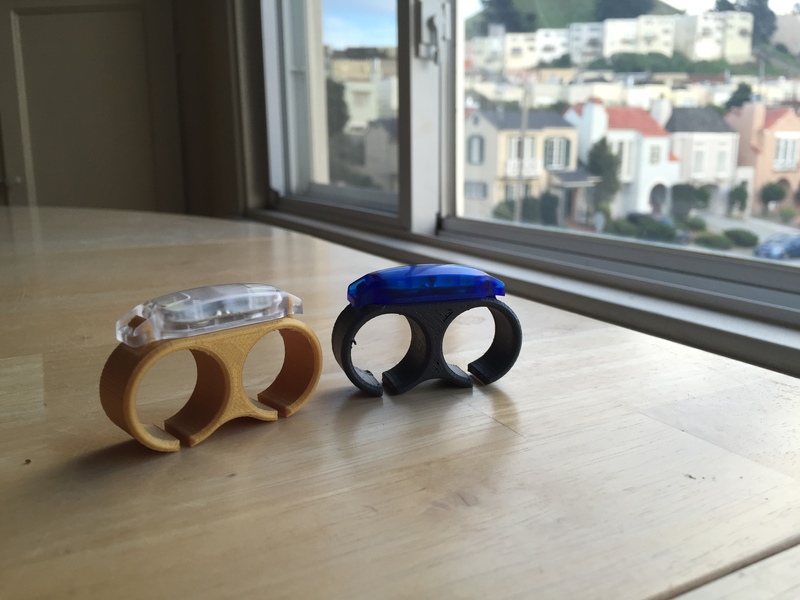 A photograph from Instagram was posted the other day from user @You3Dit that asked, “What color are they?” Some people see a nightlife dancing enhancement ring, other people see a device to help get the attention of inattentive drivers while exercising. Some people see them doing both exceptionally well. The Gold and White RaverRing on the left is bare skinned, “Bling Gold” PLA from Cubicity.com with a white LED. The RaverRing on the right is dark blue but covered with dark grey Performix Plasti-Dip. If we take the two RaverRings and average the colors in a Dance Party, Rave, High-school Pep Rally or at an all-night event, we get the most epic party of our lives. How Do We Interpret these RaverRings? Our eyes, minds and bodies are only able to handle so much light and dancing awesomness under widely different partying environments. This ability is called Rageability. But the photograph doesn’t give many clues about the raging party that is going on in the background. Are the party goers dancing on tables flashing their RaverRings to David Guetta? Or Demi Lovato? Or has the party left to rage in the streets? Different people may presume one or more of these scenarios but the truth is, people who own RaverRings typically have a higher than average “Rageability”. Pre-order your RaverRings now before time runs out! Even if you haven’t had your Rageability tested recently, RaverRings are like having training wheels on your new bicycle, or having the wind at your back while you bike up that miserably huge hill by your house…Don’t let your nightlife stay dark, light it up with a RaverRing today!